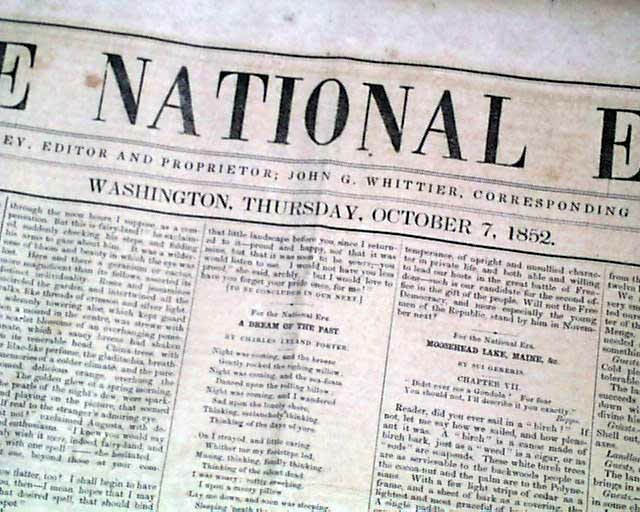 THE NATIONAL ERA, Washington, D.C., Oct. 7, 1852 This newspaper is forever linked to the best-selling novel of the 19th century: "Uncle Tom's Cabin", for the book was originally released as a 40 week serial in this anti-slavery newspaper beginning in June, 1851. 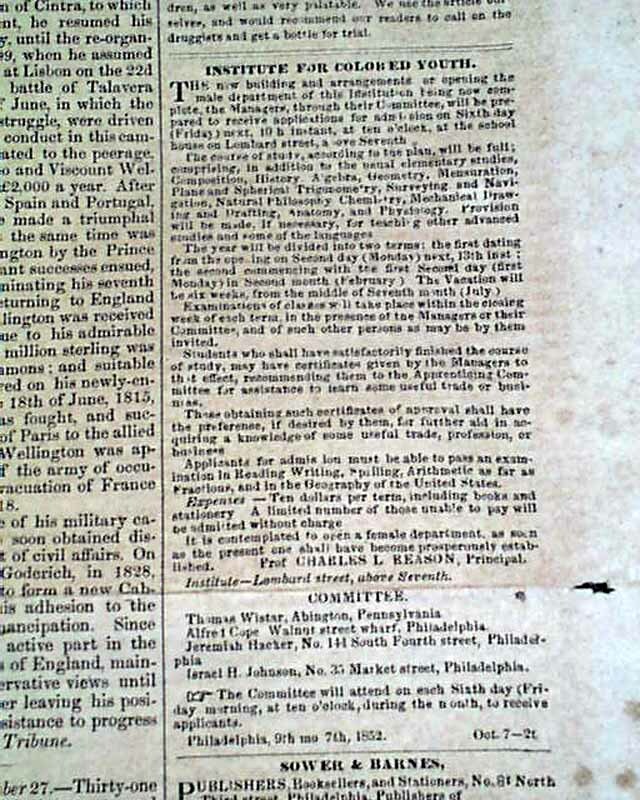 It was the newspaper's publisher who encouraged Stowe to produce the work in book form, and it is common consensus that the book had much to do with popularizing sentiment which lead to the Civil War. 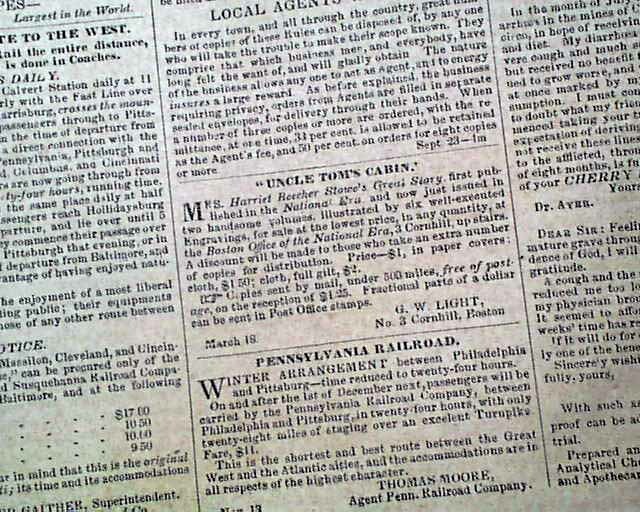 The back page has a small advertisement: "Uncle Tom's Cabin!" which begins: "Mrs. Harriet Beecher Stowe's Great Story, first published in the National Era, and now just issued in two handsome volumes, illustrated by six well-executed engravings, for sale..." with more. 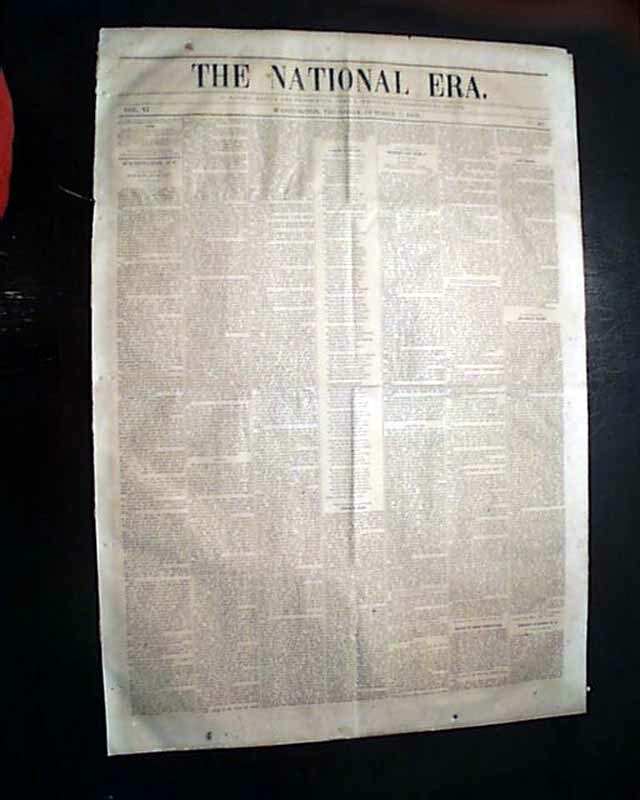 Page 3 has an advertisement headed: "Institute For Colored Youth" with much detail. Four pages, nice condition. The folder size noted is for the issue folded in half.